Fiat S.p.A.'s CEO Sergio Marchionne has decided to build the Chrysler Sebring successor in the U.S. instead of Italy because of difficulties to boost productivity in Italy, the Corriere della Sera reported on Wednesday. Fiat planned to assemble the next-generation Sebring mid-sized sedan, due in 2013, in Turin alongside the Alfa Romeo Giulia, sources told Automotive News Europe in April. Currently, the Sebring is built at Chrysler's Sterling Heights plant in suburban Detroit. On July 30, Marchionne, who is also Chrysler Group CEO, said the company will keep open Sterling Heights indefinitely instead of closing it after 2012, as previously planned. The company plans to build the Fiat-based successors to the Sebring and Dodge Avenger at the factory, he said. 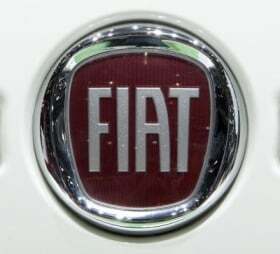 Italy is the only part of the world where Fiat's operations are losing money, Marchionne told representatives from Italian unions and local authorities on July 28. Fiat has also said it will shift planned production of its Fiat Multipla and Idea models to a plant in Serbia from the Mirafiori plant in its home town Turin. Fiat acquired management control of Chrysler after taking a 20 percent stake in the U.S. automaker in June 2009. Under Fiat's five-year plan announced in April, Fiat and Chrysler will manufacture vehicles for each other.